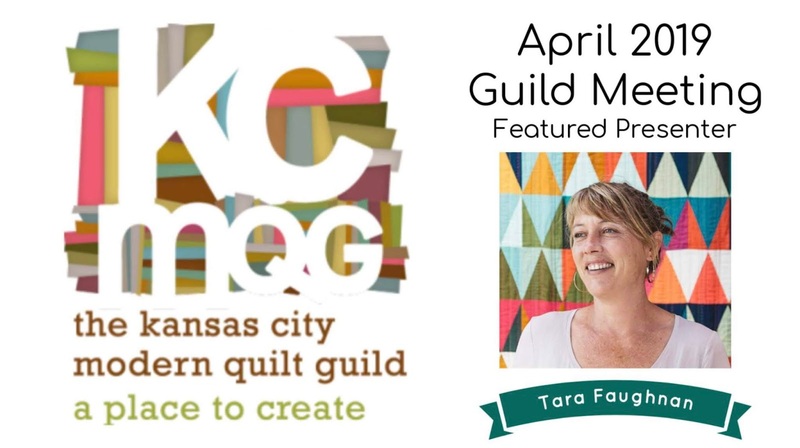 The Kansas City Modern Quilt Guild: April’s Guild Meeting- Special Guest! at Abdallah Shriners 5300 Metcalf Ave. Overland Park, KS. Please join us for a special evening with our guest, Tara Faughnan. Tara will be speaking on the Process of Design- from initial spark to the finished quilt. Tara will share her work and process. You won’t want to miss it. It’s sure to be an inspirational evening. We hope you’ll join us!